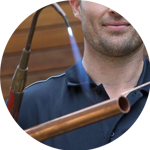 Looking for a plumber in Wimbledon? You’re in luck! 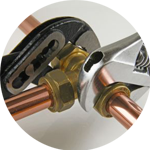 as the Handy Squad have the entire SW postcode area covered. 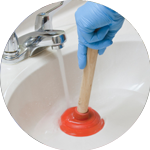 Since 2005, we have been helping Londoners with plumbing tasks such as blocked toilets. You can see us all around the capital in our unmissable yellow scooters and vans ready to give assistance, so why not give your local Wimbledon plumber a call? 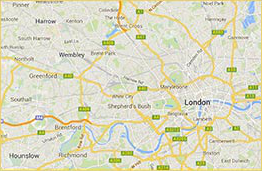 Wimbledon lies between Charing Cross, Wandsworth, New Malden, Mitcham, Streatham and Sutton. No matter where you live, we are able to be at your doorstep ready to help. The area is home to New Wimbledon Theatre, Wimbledon common and the world-famous Wimbledon Tennis Championships, which is the oldest tournament in the world, having been founded in 1877. Wimbledon has a mix of grand Victorian houses, modern buildings and low rise apartments. It’s residential area is split between villages and a main town. The first section is centred on the High street and is part of the original medieval village. The latter section is centred on the Broadway and is part of the area’s modern development. 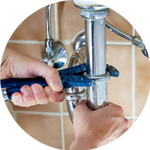 Our team deals with a variety of plumbing jobs on a daily basis, this includes; defective radiator valves and blocked drains. If you are looking for other handyman services, our Handyman London team offers home makeover services, carpentry, electrician services and much more.